Ditch the terrible built-in webcam on your laptop for one that takes video chatting seriously. A good webcam is essential if you plan to spend a lot of time video chatting with family, friends, and co-workers. 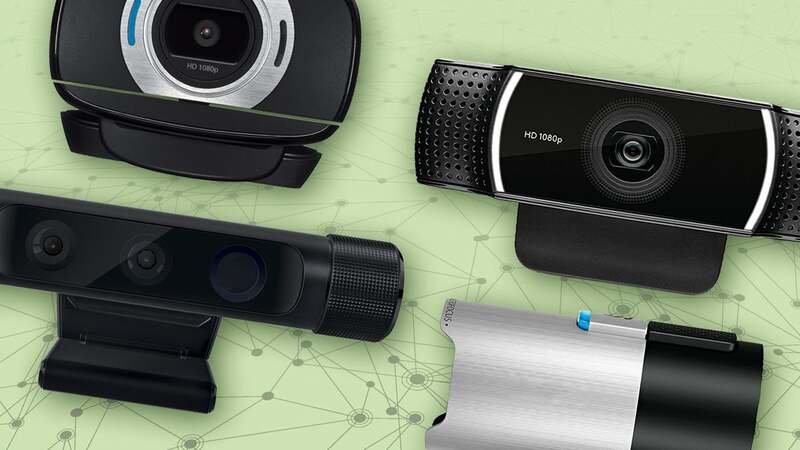 While these devices have come a long way from the cheap plastic and grainy images of yore, just a handful of standalone webcams exists these days. Models that deliver on their promises of impressive resolutions, durable designs, and the ability to record high-definition video are even rarer. We’ve looked at seven prominent HD models, from economical to the higher end of consumer grade. To help you find the best one for you, we’ve also outlined the key features to keep in mind when evaluating webcams. Whether you want to upload videos to your blog or hold business video calls with remote colleagues, we’ll help you find the right one for your needs. 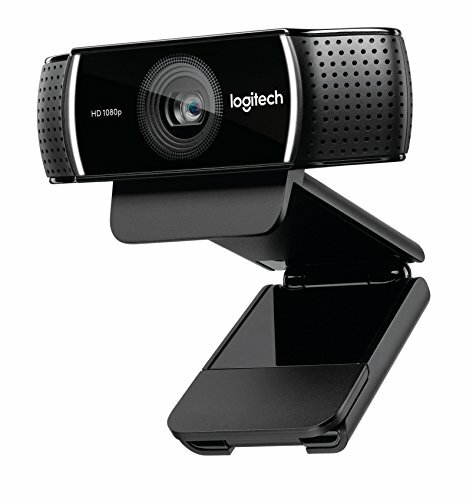 Before the C922 there was the C920, Logitech’s best consumer webcam for over four years. The company has largely taken an “If it ain’t broke, don’t fix it” approach with this upgrade. As a standard webcam, the Logitech C922 is virtually the same as the C920: It offers the same superb image quality in well-lit and low-light situations (though with improved low-light correction). It also still supports up to 1080p resolution over Skype, and 720p resolution over other major chat services. What primarily makes it an upgrade are extra gaming-oriented features designed for Twitch streamers, like background removal and the ability to stream in 720p at 60fps. Note that if you buy it through Best Buy or Logitech, you’ll get a tripod included with the package. The C922x on Amazon’s site is the same webcam, but its box does not include the tripod. The Logitech C615 offers a great balance of features without a high-end price. If your demands for a webcam are modest, a webcam like the C922 can be overkill—but the remaining options can shave off too many bells and whistles. Logitech’s C615 HD webcam manages to hit a sweet spot by offering HD video, a durable design, and some of the C920’s features for about $25 less (based on current street prices). We like this camera for its rugged, “fold-and-go” design: It feels sturdy in the hand, and folds flat to become more compact during travel. The C615’s clip also keeps a secure hold on your display, making it easy to rotate the camera with one hand. For video chat, it offers crystal-clear 720p calling in Skype, Google Hangouts, FaceTime, and other services, with the colors warm and balanced in most lighting environments. The mono mic also produces some of the best audio of all that we’ve tested, with excellent noise dampening. As a general rule, 1080p cameras will cost more than their 720p counterparts. But before you shell out top dollar for a Full HD webcam, remember that a host of factors—including your computer processor, the video-call service you’re using, and whether the person you’re chatting with has an HD display—will determine whether you get the resolution promised on the box. The speed at which a webcam can capture and display a succession of still images in a fluid stream is its frame rate, denoted as frames per second (fps). If a camera’s frame rate is too low, movements will look hesitant and choppy regardless of the camera’s resolution. Consumer-grade HD webcams typically have a top frame rate of 30fps, which is adequate for video chatting and streaming. (Logitech’s C922, however, can reach a much smoother 60fps.) As with resolution, however, whether you actually experience your camera’s max frame rate depends on a range of factors. Resolution may get all the hype, but video quality starts with the webcam’s lens. It captures the light on the subject, which the camera’s sensor then transforms into a digital image. A higher-quality lens captures more light, and more light means better-quality images. Cheaper webcams usually have plastic lenses, which is fine for simple Skype calls. But you’ll get clearer, more vibrant images with a glass lens. They’re also more durable if you’re going to tote your webcam around in your gear bag. Webcams also offer the ability to capture high-resolution still images and HD video. If the idea of posting 8-megapixel images to your blog or 720p video to YouTube or Facebook appeals to you, look for a camera that supports these features. Just be prepared to pay more, as these capabilities usually inflate the price tag. Yes, fixed-focus webcams still exist. Our recommendation is to pay a little more and get a model with autofocus, which enables the webcam to track your movements and adjust the lens focus on the fly. It provides the crispest image possible, no matter how animated your conversation gets. Similarly, many webcams also include some kind of light-correction feature, such as Microsoft’s TrueColor Technology, to make sure the image is bright and colorful in all lighting environments. Built-in microphones are a pretty standard webcam feature these days, but that doesn’t mean they’re all created equal. An inferior mic will produce tinny audio, while a quality one will make your voice sound warm and natural. There’s no way to tell from the box how good a given webcam’s microphone really is, but it’s safe to assume higher-end webcams boast better mics. Another feature to look for is some kind of noise-suppression feature—usually advertised as “noise reduction” or “noise cancellation”—which dampens ambient sounds such as chatting coworkers or traffic outside your window and results in clearer audio for the person with whom you’re chatting. Webcam design isn’t merely an aesthetic consideration, it directly impacts how well the camera will work for you. Webcams come in two styles, freestanding and clip-on. Our round up is only concerned with the latter, but even here there are variations. Some clips feature a single hinge and attach like a clothespin, while others feature two or three hinges or have a flexible mount that can be shaped to conform to a variety of displays. (In our experience, the latter creates a firmer hold on the monitor.) Many of these webcams also feature a tripod mount—basically a screw attachment on the bottom of the clip—for placement independent of your computer. Another design consideration is whether the camera is capable of horizontal rotation and vertical tilt. This allows for more camera angles without having to detach the camera from your display. Finally, if you plan to take your camera with your laptop when you’re on the go, look for one with an expressly portable design—such as Logitech’s fold-and-go models—or at least one that feels like it can handle the rigors of the road. Below is a list of our most recent webcam reviews. We’ve kept it to the models still available for sale—expect to see more added over time, as they trickle out. The Creative Live! Sync HD Is fine for video chats or uploading video to social media sites. But there are better options available in the same price range.